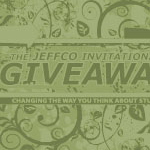 The Jeffco Invitational Giveaway brings people together to redistribute unwanted items in a fun, exciting auction which also collects toys and donations for charity. Read on to find out more about the Giveaway and how it works, and how you can have your own Giveaway! The Giveaway Philosophy – Motivating principles for the Giveaway. How It Works – A basic explanation of how it all works. Official Rules – Hard and fast rules about how it works. Giveaway History – A look back on how the Giveaway came to be, and where it's gone from there. Giveaway Photos – Photos from past giveaways. Giveaway Videos – Videos from past videos, and some of the promotional videos used to advertise past giveaways. Giveaway Art & Design – Highlights of the many, graphic looks and designs used to capture attention and build excitement for this unusual event. Donations – Got questions about what to do with donations? Perhaps we can help.